This book is amazing—it didn't change my mind, so much as it has changed the way I think. It helps to understand the difference between the way you make quick decisions, versus considered decisions—it takes different mechanisms in the brain. Understanding which you're doing at any given time can have a profound impact on what you ultimately decide. 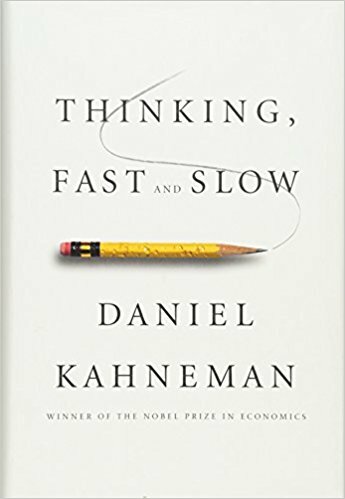 A few months ago, Mr. Obama read “Thinking, Fast and Slow,” by Daniel Kahneman, about how people make decisions — quick, instinctive thinking versus slower, contemplative deliberation. For Mr. Obama, a deliberator in an instinctive business, this may be as instructive as any political science text. Summary of the life's work of a world-leading researcher in psychology, and his findings. Extremely interesting. Thinking Fast and Slow by Daniel Kahneman is more than a book, it’s really a compendium of wisdom. As a result, you can only sip it slowly, it’s a very condensed writing. Kahneman proves, after many years of studies and an amazing partnership with a Amos Tversky, what huge gap lies between how we think we act/make decisions and how we really do. This has had an impact both on my professional life as well as personal one, in the broader area of decision making. With this “bible” under the belt, one can further study this space of decision making with other great works like Nudge (Thaler) or Decisive (Heath/Heath). It explains how our brains works without claiming this. So much better than other books that claim to do this. That book really opened my eyes and changed the way I think. I try to open it and read random parts every now and then so I can just remind myself of some brilliant anecdote that illustrates one of his points. Gave additional insight into how the human mind works, our inherit fallacies and biases. Understanding oneself better is one of the keys to living a better and more plentiful life. This one is a deep dive into behavioral science and human psychology. It’s shocking, entertaining, and introduces you to the fallibility of your own brain in quite a delightful way. Captivating dive into human decision making, marred by inclusion of several/many? psychology studies that fail to replicate. Will stand as a cautionary tale? I wasn't expecting anything particular from it, and feared to be overwhelmed by technical terms about how the brain works and such. But I am extremely happy with it! It is very simple and explains a lot of traps our mind falls into when making decisions. It definitely changes the way you make and see decisions in personal and business life. The book explores cognitive biases in everyday's life as well as in finance, marketing and business, and shows us what is the process thinking behind these biases. I call 2018 my Year of Kahneman. Until 2018, I had never heard of him but now I see him everywhere. I read this book towards the beginning of 2018 and after that, at least 1 in 4 of my other 52 books for 2018 referenced Kahneman. Not only did they reference him, they built key ideas in the book from Kahneman’s research. This was not only a good book, it’s an important and foundational book.